It is hard for me to believe I have never until now posted a Graham Townsend album at the Attic. Graham has never properly received his due as on of the very greatest fiddlers in recorded history. Through his lifespan was relatively short (1942-1998), his accomplishments were enormous, and his technical mastery of the instrument was practically unmatched. 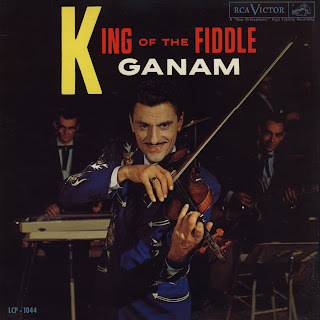 It is not unfair to say (because recordings of his playing exist to back up the claims) that he had under his fingers Irish, Scottish, Canadian, Nashville, Bluegrass, and Jazz (Venuti or Grapelli) styles of fiddling. Legally blind since birth, the native of Buckingham, Quebec began playing before he was ten years if age and by his mid-teens was a formidable force on the Canadian contest circuit, setting many records with his numerous wins. Despite this, he is remembered as a genuine and helpful man with a passion for all those who played and shared a love for his chosen instrument. His influence was definitely immense, yet in the scant years since his death he seems not to be remembered as would be expected of a man who's records were reliable sellers in every market in the country. Graham recorded over thirty albums in his career, which found their way into homes from coast to coast. The present album was released in 1970, and was probably recorded in either Montreal or Ottawa. It has long been a favourite of mine, as I purchased a cassette copy as a youth of about 13, and listened to that tape until it nearly unraveled. I was always very struck by Townsend's control of the bow, brilliant phrasing and overall taste. On the album he covers tunes from the Acadian (Golden Wedding Reel), Irish (Rakes Of Kildare), Scots (Lord Athlone's March), Metis (Princess Irena) and Ukranian (Bandura Waltz, Zaporozich) traditions with equal aplomb. 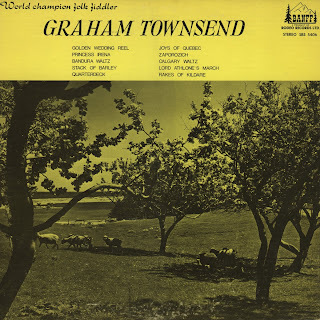 Although this is only one of the many great Townsend albums recorded through the years, I hope it will continue to be, as it was for me, a fantastic introduction to the fiddle marvel who was Graham Townsend. Click here for a bio of Graham at the Canadian Encyclopedia. Click here for liner notes to many of Graham's albums, including extensive biographies. 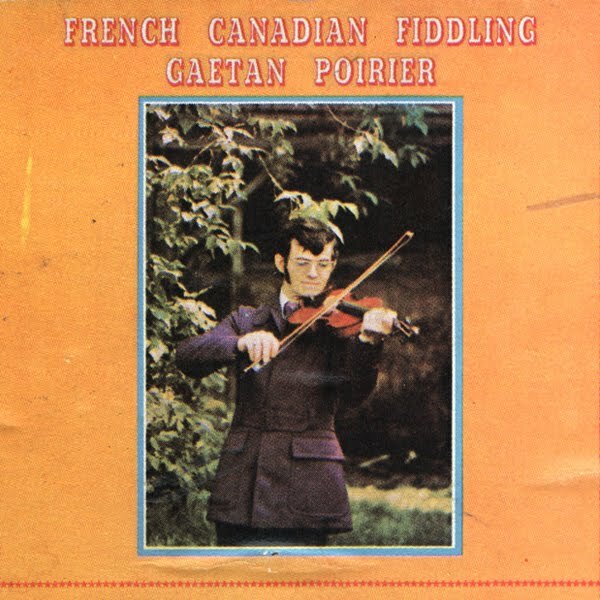 I have always loved this album of traditional French Canadian style fiddling, complete with foot tapping, despite having no knowledge about M. Poirier whatsoever. All I know is that the album was released in 1973 on Buckshot, which was a product of Jack Boswell's Paragon/Marathon/Condor family of labels. The original issue number on LP was BT-9006, but the present transfer of this rarity comes from the 8-Track edition, 8T-9006. The liner notes (from the LP, a text file of which is enclosed in the download) state M. Poirier hailed from St. Hubert Compté Temis Kuata, Québec. 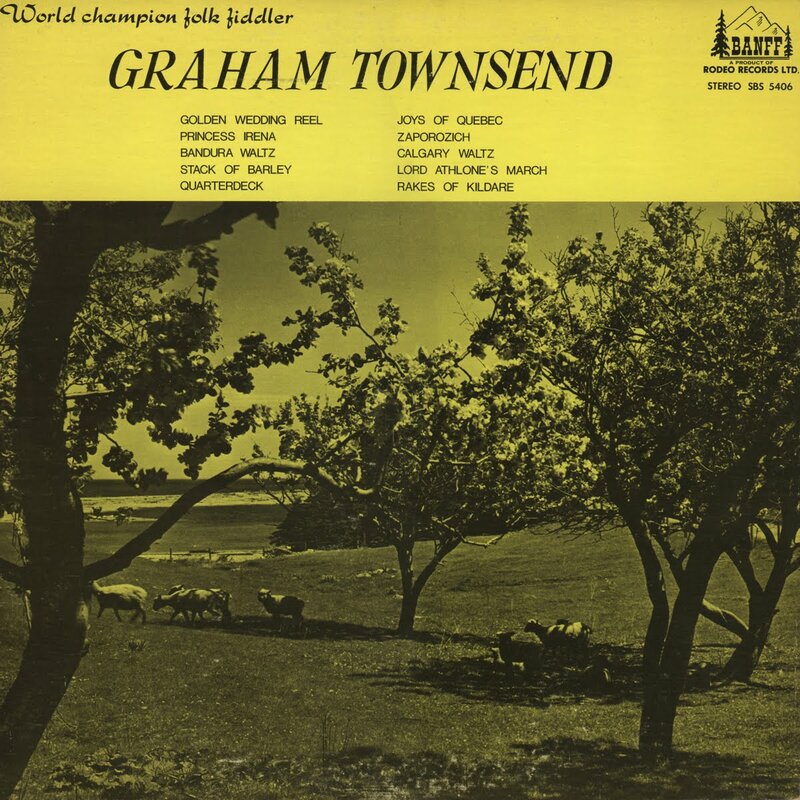 Though no session credits are included, I strongly suspect the great Canadian champion fiddler Graham Townsend is playing the piano on this album, he may well have produced it besides. Townsend produced many LPs for Boswell during this period, and upon careful listening I find many traits of his distinctive piano accompaniment style to be present. A few of these tracks have popped up on Canadian fiddle compilations through the years, but the complete original album has become yet another obscure Canadian classic. I hope this post goes it's small way in keeping Canada's vast musical traditions alive. Click here to see listing for "Gaetan Poirier, French Canadian Fiddling"
Click here to see listing for "Eddie Poirier, Fiddling in the Irish, Scottish & Cape Breton Style"
Hey folks, just wanted to apologize for being away for so long. It's been over a year since I've put up any new posts, I'm afraid other things have just kept me away. Several moves, a broken ankle, and many other responsibilities prevented me from finding time to properly transfer, upload, and annotate all the items I would like. I'm glad to say that people seem to continue to discover the Attic and download items! I am somewhat backlogged in correspondence, so if you have not received a reply please do not take it personally. I intend to try to catch up on emails in the next few weeks. On to today's post. 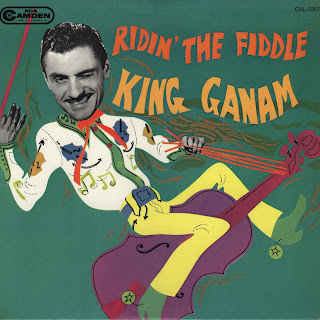 Featured here are 40 tracks by legendary Canadian fiddler Ameen Sied "King" Ganam (1914-1994). Ganam was born in Swift Current, Saskatchewan to an English mother and a father of Syrian decent. 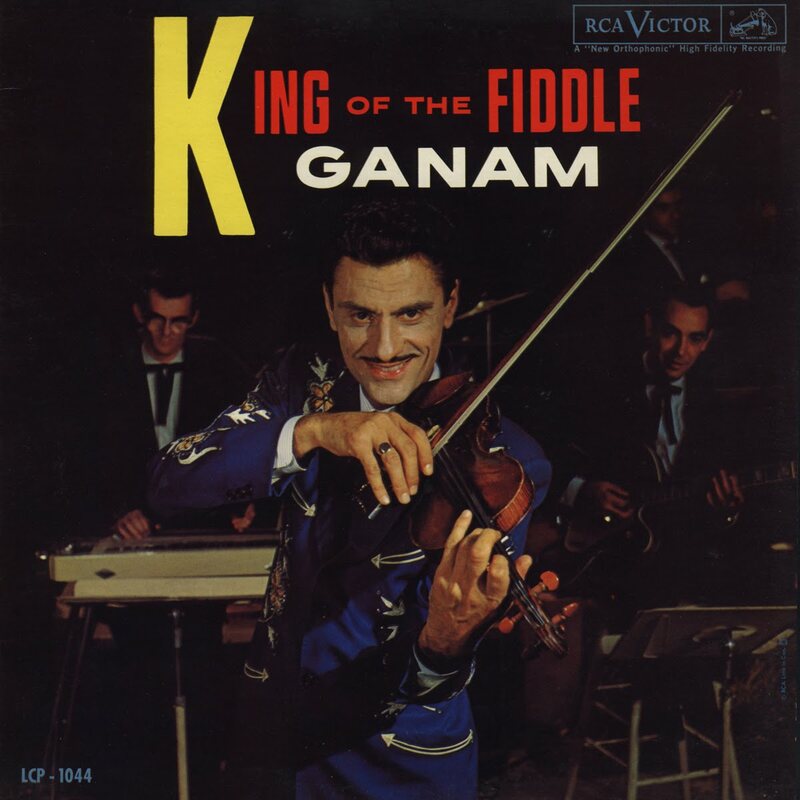 Ganam is an interesting figure in fiddle history who's style bridged a number of traditions and who's story and background are the very fabric of the Canadian cultural mosaic. He began leading "western" style cowboy bands in his home territory in the early 1940's and continued to be successful throughout the decade, but it was his association with the early CBC TV production "Country Hoedown" that brought him to national prominence. Ganam had already landed in Toronto by 1956, the year "Country Hoedown" was launched. The program was a runaway success, sparking longstanding careers for the likes of Gordie Tapp and Tommy Hunter. The recordings here were all cut for RCA Victor's Canadian division during the 50s and very early 60s and released in varying combinations on 78s, 45s and LPs on RCA's Bluebird, Victor and Camden imprints. Ganam's repertoire is somewhat more varied that that of the average Canadian fiddler of the time. Some, especially the earlier tracks, seem very much like western swing, featuring heavy accordion bordering at times on the sort of lounge jazz made popular by artists such as Art VanDamme. He plays some southern sounding "hoedown" pieces and a great deal of old time time dances, waltzes, schottische, etc. Of course, there are Canadian style jigs and reels as well, played at a somewhat faster pace than contemporaries like Don Messer or Ned Landry favoured. 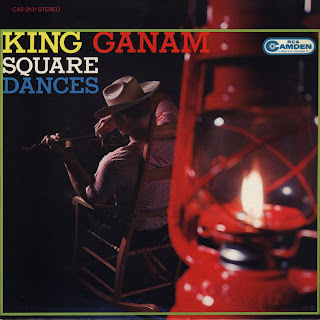 I find it particularly fascinating to hear Ganam play the "Red River Jig", a tune from the Métis tradition of Manitoba and his native Saskatchewan. It is interesting to speculate if he played in and/or for those communities enough to have picked the tune up and kept it in his repertoire. Like so many of the great fiddlers, "King" seems to have suffered his popularity and by the sixties had experienced difficulties with alcohol and mental health. He relocated to California in 1962 and spent his remaining days there, returning to his native country only occasionally. His influence was immense and his tunes, especially the enduring "Four String Polka" are still played widely. Click here for a biography at the Canadian Encyclopedia. Click here for a biography from "Folk and Country Songs", November 1956.